Cennabras offers a wide range of phosphorus alloys to suit the needs of several industries. 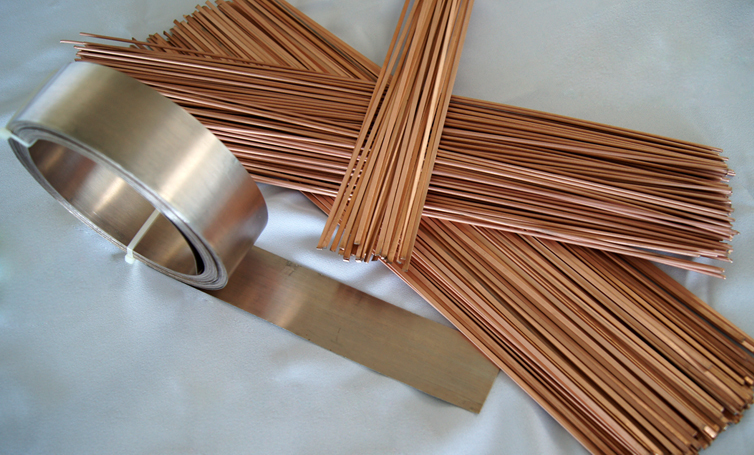 One of the main characteristics is that flux is not required when joining copper to copper. When flux is used, these filler metals can join copper alloys – except those with nickel or iron. Phosphorus filler metals provide efficient solutions at a reasonable cost. Self-fluxing alloys – flux not required when brazing copper to copper. When using a compatible and adequate flux, copper to brass can be brazed. Low cost solution for joining copper to copper. Massively used in industries such as refrigeration, air conditioning, electrical and civil construction. Filler metals containing silver have good ductility and electrical conductivity. These alloys are not suitable for joining parent metals containing nickel or iron. Copper and copper alloys, including: brasses, bronzes and phosphorus-bronze. Is it necessary to use flux? For brazing copper to copper joints flux is not required. However, flux is required for brazing copper alloys and selecting the best flux will depend on technical aspects such as brazing filler metal used, heating method, size of parts, and others. CN18P – Eutectic alloy with a melting point of 1190 °F (644 °C). Its high phosphorus content promotes great flow and capillary penetration but it restricts ductility. CN15P – The only filler metal of this group available in foil form. It produces ductile joints when joining copper to copper and it is widely used in industries such as electrical and refrigeration – due to electrical conductivity and the ability to withstand vibrations. Widely used through spot welding equipment. CN6P – This filler metal has excellent flowing properties. Also, it has the lowest melting temperature and it is the least ductile of the group. CN5P – This filler metal is the best combination between flow and ductility of the group. Comparing to CN15P, It is more free flowing but less ductile. CN2P – This alloy is superior in flowing characteristics and ductility over phosphorus-copper alloys as it contains 2% silver. CNP5/CNP6/CNP7/CNP8 – Known as phosphorus-copper or phos-copper alloys. These alloys are highly used in the HVAC industry due to its good flowing characteristics at a lower cost. Also, flux is not required when joining copper to copper. Preforms are available. * Tensile/shear strength data refers to the application on Copper.